Dustin Michael Ackley…resides in Lapeer, MI, with wife, Justine, and son, Parson…father, John, played in the Red Sox organization…ended his college career as the top hitter in UNC history ( .412/346x840) mark…helped UNC to three straight CWS trips. Hit .286 (69x241) in 72 games with Triple-A Salt Lake (LAA). Signed a minor league deal with the Angels on Feb. 4…spent the season with Triple-A Salt Lake, where he hit .261 (115x441) in 116 games. Made 5th career Opening Day roster, 1st with the Yankees…appeared in 28 games during injuryplagued campaign, batting .148 (9x61)…placed on 15-day disabled list May 30 with a right shoulder dislocation; transferred to 60-day DL June 4...underwent right shoulder labral repair surgery June 3. Hit .288 (15-for-52) with 6R, 3 doubles, 2 triples, 4HR and 11RBI in 23 games with the Yankees…as a Yankee, made 14 starts (nine at 2B, three at 1B and two in LF)...Was acquired by the Yankees from Seattle on 7/30 in exchange for RHP Jose Ramirez and OF Ramon Flores...was added to the 25-man roster on 7/31...Made his Yankees debut in 7/31 win at Chicago-AL, pinch-hitting for Beltran in the seventh and remaining in the game in LF (was 0-for-2)...Was placed on the 15-day disabled list from 8/4-9/1 with a right lumbar strain (missed 26 team games)…in five rehab games (2-2B/1-DH/1-LF/1-RF) with Triple-A Scranton/Wilkes-Barre, hit .471 (8-for-17) with 4R, 1 double, 2HR and 4RBI...In his first nine games (9/9-18) following his D.L. stint, hit .438 (7-for-16) with 2R, 2 doubles, 1HR and 3RBI...Collected his first hit as a Yankee in 9/9 loss vs. Baltimore (a seventh-inning double), going 1-for-3…started in LF (his first start as a Yankee)...Started at 1B in 9/12 Game 2 loss vs. Toronto, his first start at the position since 8/13/12 vs. Tampa Bay (w/ Seattle)...Hit two-run HR-his first as a Yankee-in 9/13 win vs. Toronto…was his first HR since 7/8 vs. Detroit (w/ Seattle)...Started at 2B in 9/16 win at Tampa Bay, just his second appearance at the position since the start of 2014 (also 6/18/15 vs. San Francisco w/ Seattle)…started five straight games at 2B from 9/19-23 and nine of the Yankees' final 18 games at the position (beginning on 9/16)...Committed an error in the seventh inning of 9/29 loss vs. Boston, snapping a streak of 65 consecutive errorless games as a second baseman (since 9/28/12 w/ Seattle)…according to Elias, the streak had been the secondlongest active streak by any Major League second baseman behind Washington's Danny Espinosa... Was named to the Yankees' AL Wild Card Game roster, but did not appear in the game...Began the season with Seattle, batting .215 (40-for-186) with 22R, 8 doubles, 1 triple, 6HR and 19RBI in 85 games before being traded to the Yankees on 7/30. Appeared in 143 games,131 starts (LF-127, DH-4) hitting .245(123x502) with 64 runs, 27 doubles, 4triples, 14 home runs & 65 RBI... Career-highs in doubles(27), home runs (14) & RBI (65)... Hit .274 (71x259)with 34 runs, 15 doubles, 2 triples,10 home runs and 38 RBI in his ﬁnal69 games of the season; began theseason hitting .214 (52x243) with 30runs, 12 doubles, 2 triples, 4 homeruns and 27 RBI in his ﬁrst 74 games of the season... Hit .319 (51x160) with 26 runs, 12 doubles, 2 triples, 7 home runs and31 RBI with a .901 OPS in his ﬁrst 40 games after the All-Star Break (July 18-Aug. 31)... Ranked T6th in Majors in July hitting .365 (31x85) with 9 runs, 9doubles, 1 home run and 9 RBI in 24 games... Hit .253 (67x265) on the road and .236 (56x237) at Safeco Field…hit .304 (31x102) in his ﬁnal 26 home games (July 21-end of season)... First career multi-home run game May 11 vs. KC (3x4, 2 HR, 2 RBI, K)... Hit a home run in three consecutive plate appearances May 10-11... Batted .300 (3x10, 2B, 3B, 12 RBI) with the bases loaded…in his careeris 19-for-37 (.514) with 5 extra-base hits and 42 RBIs with the bases loaded. Appeared in 113 games, making 103 starts (2B-53 G/49 GS, CF-50 G/46 GS, LF-11 G/8 GS, 1B-6 G/0 GS)… team went 25-21 in 46 starts in CF. Batted .253 (97x384) with 18 doubles, 2 triples, 4 home runs and 31 RBI in 113 games. Led the team batting .304 (56x184) in 53 games following the All-Star break (T19th in AL). Raised season batting average from .200 to .253 over final 66 games of the season (.290/65x224). Ranked 3rd in the American League batting .390 (30x77) in 22 games in August. Recorded first career 4-hit game and tied career high with 4 RBI Aug. 30 at Houston. Made his MLB outfield debut June 28 vs. Chicago (NL) starting in center field…all previous MLB action came at 2B or 1B. Hit first career grand slam May 4 at Toronto (4th inning, off R.A. Dickey)…is a career .593 (16x27, 2B, 3B, HR, 30 RBI) hitter with the bases loaded. Optioned to AAA Tacoma on May 26 and made transition to the outfield…recalled to Seattle on June 25. Batted .365 (38x104) with 21 runs scored, 8 doubles, 2 home runs, 14 RBI in 25 games with the Rainiers. Appeared in 153 games, 151 starts(2B-142, 1B-5, DH-4). ... In wins hit .278 (78x281) with 57 runs,15 doubles, 2 triples, 7 home runs, 35RBI, .363 OBP, .420 SLG...in losseshit .181 (59x326) with 27 runs, 7doubles, 5 home runs, 15 RBI, .231OBP, .248 SLG. ... Hit .538 (7x13) with 12 RBI with thebases loaded including 6-for-7 with10 RBI with bases loaded and lessthan 2 outs. ... Batted leadoff in team-high 97games, hitting .233 (94x403) in those games. ... Led the Mariners with 59 walks including a team-leading 7 intentional walks (T15th in AL). ... Recorded career-high 13 game hitting streak May 3-17, during streak hit .320 (16x50) with11 runs, 1 double, 1 triple, 2 home runs, 3 RBI, 6 walks. ... Named one of three finalists for the AL Gold Glove Award at second base with RobinsonCano (winner) and Dustin Pedroia. ... Had .989 (7 ER, 639 TC) fielding percentage at second base, 5th-best in the AmericanLeague...finished 3rd amongst AL second basemen with a 6.7 UZR (Ultimate Zone Rating)behind Dustin Pedroia (10.8) and Robinson Cano (9.2)...ranked 6th with 91 double plays. ... Had 5 errors in his last 24 games after having just 3 errors in his first 127 games. ... Hit first leadoff home runs of his career May 11 (at NYY) and July 31 (vs. TOR). Hit .273 (91x333) with 16 doubles, 7 triples, 6 home runs and 36 RBI (.348 OBP, .417 SLG) in 90 games during his rookie campaign...Finished 6th in AL Rookie of the Year voting, including one first-place vote...Despite missing first 69 games of the season, ranked amongst AL rookies in several offensive categories: Walks (1st, 40), Triples (7, 2nd), Onbase Percentage (.348, 2nd), Batting Average (.273, 5th), RBI (36, 7th), Extra Base Hits (29, T7th), Hits (91, 8th), Multi-Hit Games (22, 9th) and Slugging Percentage (.417, 9th)...Named Mariners MVP by the Seattle chapter of the Baseball Writers Association of America...first rookie to win the award since Ichiro (with Boone) in 2001...Named to Baseball America's All-Rookie team, along with Mike Carp and Michael Pineda...Appeared in 86 games at second base (85 GS), recording .984 FLD% (6 E, 375 TC)...also made 2 starts at DH and appeared in 1 game at first base (7/19 at TOR)...made 71 of 87 starts batting No. 3 in the order...Led team with 7 triples to rank T8th in the AL...ranked 3rd in rookie club history...first rookie to lead Mariners in triples since Danny Tartabull shared team lead with 6 in 1986...Recorded at least one hit in 64 of 90 games (reached base safely in 72 of 90)...averaged 1.01 H/G, 6th-best in rookie club history...Made Major League debut June 17 vs. Philadelphia...singled in first career plate appearance off Roy Oswalt...19th Mariner to record a hit in first career plate appearance...Hit first MLB HR June 18 vs. Philadelphia (off V. Worley); 5th career plate appearance...Reached base safely via hit or walk in each of his first 13 games, including a 5- (June 17-22) and 6-game (June 25-July 3) hitting streak...2nd-longest streak by a Mariner to begin a career (Alvin Davis - 47 G)...Career-high 10-game hitting streak Aug. 28-Sept. 6 (.432/16x37, 2B, 2 3B, HR)...Began season with Tacoma, batting .303 (82x271) with 57 runs, 17 doubles, 3 triples, 9 home runs, 35 RBI, 55 walks, .421 OBP in 66 games...at the time of his recall, led the PCL in walks (55) & at-bats (271), T1st in games played (66), 3rd in hits (82) & runs (57). Split the season between West Tenn (AA) and Tacoma (AAA)...combined to bat .267(134x501) with 33 doubles, 8 triples, 7 home runs, 51 RBI and 10 stolen bases....Promoted to Tacoma on July 14 and made AAA debut with the Rainiers July 15 at Reno...went 1-for-5 and homered in first at-bat....Appeared in 52 games for PCL Champion Rainiers...recorded 21 extra base his (12 2B, 43B, 5 HR)...hit .273 (9x33) with 2 home runs in 8 post-season games....Hit .263 (76x289) with 21 doubles, 4 triples, 2 HR and 28 RBI in 82 games with West Tenn....Made the switch to second base prior to spring training....Named MVP of the Arizona Fall League...won the AFL batting title with a .424 average(28x66) and also topped the league in on-base percentage (.581), slugging (.758), OPS(1.338) and runs scored (28)...selected to play in AFL Rising Stars Showcase....Named AFL Week 4 Player of the Week (.556/10x18, 3 2B, 2 HR, 7 RBI, 8 R)....Listed by Baseball America as the No. 2 (Southern League), No. 2 (Arizona Fall League)and No. 5 (Pacific Coast League) prospect....Ranked by MLB.com as the No. 5 prospect heading into the 2011 season. Was the 2nd player taken overall, and first position player, in the 2009 June Draft...Signed to a five-year Major League contract on Aug. 17 and added to the 40-man roster...Participated in the Mariners annual Instructional League in Peoria, AZ...Played for the Peoria Javelinas in the Arizona Fall League...Hit .315 (23x73) with 13 runs, 5 doubles, 1 home run and 12 RBI in 20 games in the AFL...made 17 starts in the outfield...Played in the AFL Rising Stars Showcase, starting in center field...Participated in the MLB Rookie Career Development workshop in Dallas in January...Rated by Baseball America as the Mariners No. 1 prospect heading into the 2010season...also rated as being the best hitter for average in the Mariners organization...Selected by MLB.com as baseball's No. 15 prospect heading into the 2010 season...As a junior at North Carolina, named the ACC Player of the Year and first-team All-ACC...one of five finalists for the Golden Spikes Award...Named Rivals.com National Player of the Year...consensus first-team All-American...batted .417 (111x266) with 18 doubles, 4 triples, 22 home runs and 73 RBI...Earned All-College World Series honors for the third time in his career (.500/8x16)...Recipient of the 2009 Patterson Medal, the most prestigious award presented to studentathletesat the University of North Carolina. 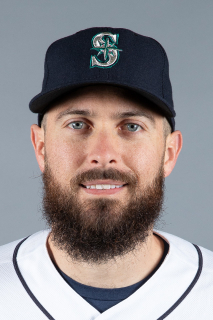 March 12, 2019 Seattle Mariners released 2B Dustin Ackley. January 24, 2019 Seattle Mariners signed free agent 2B Dustin Ackley to a minor league contract and invited him to spring training. January 24, 2019 OF Dustin Ackley assigned to Tacoma Rainiers. November 2, 2018 LF Dustin Ackley elected free agency. August 23, 2018 Salt Lake Bees activated LF Dustin Ackley from the 7-day disabled list. August 15, 2018 Salt Lake Bees placed 1B Dustin Ackley on the 7-day disabled list retroactive to August 13, 2018. Back. May 4, 2018 Salt Lake Bees activated 1B Dustin Ackley from the temporarily inactive list. April 7, 2018 OF Dustin Ackley assigned to Salt Lake Bees. April 6, 2018 Los Angeles Angels signed free agent OF Dustin Ackley to a minor league contract. November 6, 2017 DH Dustin Ackley elected free agency. April 5, 2017 DH Dustin Ackley assigned to Salt Lake Bees. February 4, 2017 Los Angeles Angels signed free agent RF Dustin Ackley to a minor league contract and invited him to spring training. November 18, 2016 New York Yankees released RF Dustin Ackley. November 4, 2016 New York Yankees activated RF Dustin Ackley from the 60-day disabled list. May 30, 2016 New York Yankees placed RF Dustin Ackley on the 15-day disabled list. Right shoulder dislocation. September 1, 2015 New York Yankees activated RF Dustin Ackley from the 15-day disabled list. August 27, 2015 New York Yankees sent LF Dustin Ackley on a rehab assignment to Scranton/Wilkes-Barre RailRiders. August 4, 2015 New York Yankees placed LF Dustin Ackley on the 15-day disabled list. Right lumbar strain. July 31, 2015 New York Yankees activated LF Dustin Ackley. July 30, 2015 Seattle Mariners traded LF Dustin Ackley to New York Yankees for RHP Jose Ramirez and LF Ramon Flores. June 25, 2013 Seattle Mariners recalled LF Dustin Ackley from Tacoma Rainiers. May 27, 2013 Seattle Mariners optioned Dustin Ackley to Tacoma Rainiers. June 16, 2011 Seattle Mariners recalled Dustin Ackley from Tacoma Rainiers. March 23, 2011 Seattle Mariners optioned Dustin Ackley to Tacoma Rainiers. October 13, 2010 Dustin Ackley roster status changed by Seattle Mariners. August 31, 2010 Dustin Ackley assigned to Peoria Javelinas. July 14, 2010 Dustin Ackley assigned to Tacoma Rainiers from West Tenn Diamond Jaxx. March 16, 2010 Seattle Mariners optioned Dustin Ackley to West Tenn Diamond Jaxx. October 19, 2009 Dustin Ackley roster status changed by Seattle Mariners. August 17, 2009 Seattle Mariners signed 2B Dustin Ackley.